While for years companies have been saying that quality is a key focus of their organizations, the truth is that most organizations have a very narrow focus when it comes to quality. Most companies look at product quality at the end of the line or monitor supplier quality. They may have a fully documented material review process to disposition non-conforming materials. They may even have a plaque or an award for quality from a key customer, but when push comes to shove, quality often takes a backseat to the demands of running the business. In 2019, that will change when the definition of quality broadens to incorporate more of the organization's business processes. Most quality frameworks such as MMOG/LE in the automotive industry or ISO 9001 include requirements for top level management involvement. This is not new, but many top executives have interpreted the requirements loosely. Often, the assumption is that if you say you have a commitment to quality and you have a quality department, you've met the requirement. In 2019, this will no longer be adequate. Rather than mere passive support, executives will be taking a more active role as a quality strategy becomes a mandatory part of the product offering. As always, the quality strategy must take a reasoned approach between customer expectations, competitive offerings, and the cost of incremental quality. The need to balance these three essential factors will lead to an elevation in the role of the most senior quality person in the organization. Many companies have already added CQOs (Chief Quality Officer), and more will be following that lead. The CQO will be an active member of the strategic planning process, on a par with other C-level executives. The role will not be to advocate for top quality for every product, but to advocate for the right level of quality for the product. The right quality level takes into account cost, pricing, production capabilities, competition, and customer expectations. As such, the top quality-leader's input will carry the same weight as more traditional strategic leaders such as marketing, sales, and design. The focus of the quality organization will move from containment-segregating and dispositioning poor-quality items-to preventing quality issues from occurring. That requires starting the quality mindset earlier in the process-at the design phase. It also requires the quality team to get involved in process design to ensure that as much as possible, processes are mistake proof. Organizations are beginning to realize that quality doesn't happen at the end of the line. Engineers must design quality into products right from the start. Product and process design must happen together to ensure that the process doesn't introduce unexpected quality issues. This trend toward problem prevention over problem containment will gain momentum in 2019. The short-sighted view of quality as a production only issue will also be overturned in 2019. Problems with any process can upset the customer and damage the company's image. Incorrect invoices, wrong items shipped, late deliveries, unreturned phone calls-all affect the quality image of a company. Business processes off the shop floor will undergo a quality scrutiny, and companies will look to ensure that employees have the training and empowerment necessary to do their jobs in a way that meets customer expectations. Training will become a renewed focus in organizations and will begin to move under the umbrella of the quality team. This will hold true for both production and business processes as organizations increasingly move toward the understanding that quality is an organizational and safety issue as well as a production issue. As the influence of the quality team spreads and top-level executives become more involved, it will be increasingly obvious that quality cannot be managed with spreadsheets or index cards. As a result, quality system adoption will increase. Quality systems that do not embrace the ideal of quality prevention over containment will suffer even as the QMS market expands. 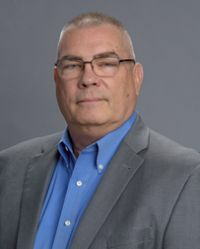 Tom Seadler has more than 30 years of experience as an executive leader in technology management including operations, services, sales, and consulting in demanding, complex global environments. His comprehensive experience in business strategy, broad supply chain expertise, and his financial acumen is complemented by technical and process disciplines.